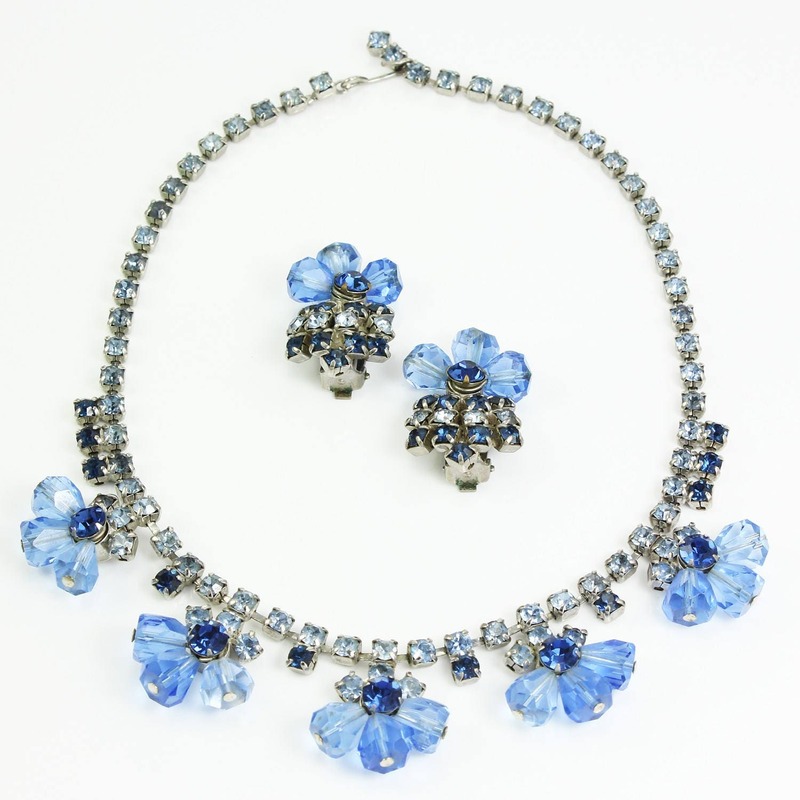 Juliana Blue Rhinestone and Faceted Crystal Necklace Earrings Set Demi Parure by Delizza and Elster. 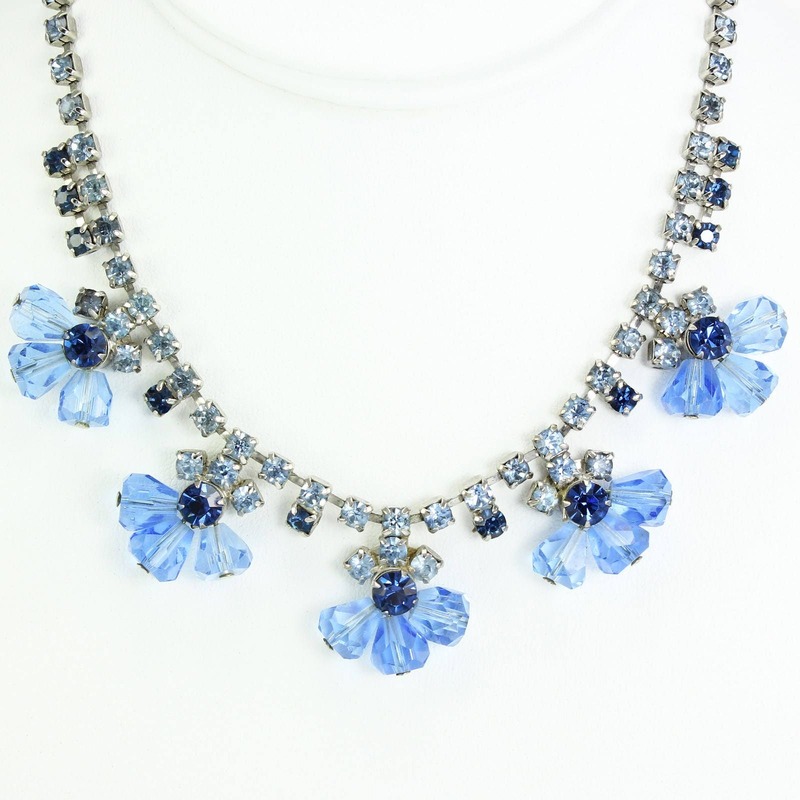 This demi parure is the "something blue for your extra special day. The choker-length necklace boasts a silver tone cup chain set with icy blue rhinestones. 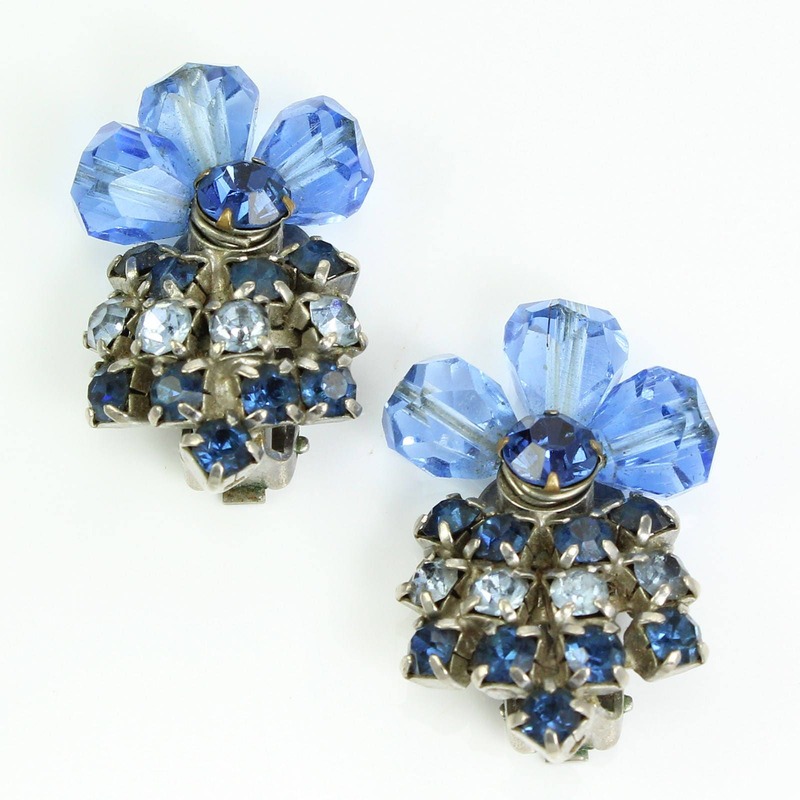 The central collar includes royal blue rhinestones and coordinating crystal briolette beads forming five floral bursts. The matching earrings are clip ons. Although the set is unmarked, the figure 8 solder puddling, riveted backs, and overall construction clearly identifies it as being part of DeLizza & Elster's Juliana line. Each piece is in very good vintage condition, with minimal signs of wear. HALLMARKS/HISTORY: Unmarked, but sharing the construction and design hallmarks of Juliana jewelry. CONDITION: In very good vintage condition, with minimal signs of wear. MEASUREMENTS: Necklace is 14.75 inches long and .88 inches at the widest point. Earrings measure 1.25 inches long and .88 inches wide.